Few carrier vests look as great as they perform but the Black Combat Carrier Vest does both seamlessly. 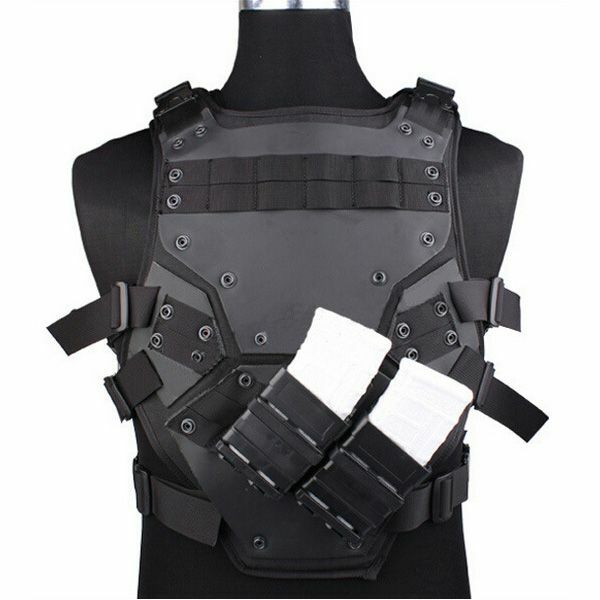 With MOLLE webbing and two hard-case pouches for your rifle magazines, this vest is designed for high-speed performance and that futuristic armored look. Rivets secure the PVC nylon plating to the vest for a secure construction and all the shoulder and side straps are adjustable for a streamlined fit.